A new article by Tamara McCleary discussing the differences in marketing to male and female audiences was recently published in Dealerscope Magazine. Knowing the differences between women’s and men’s brains offers not only a unique opportunity for marketers in the consumer technology space, but also calls into question how we’ve traditionally geared marketing messages to the male mind, thereby leaving money on the table by not effectively engaging the X Factor: the female demographic. To read the rest of the article, you can find it at Dealerscope. 1) How can a struggling brand get more attention? Everyone is competing for attention in the new social economy. The best way for a brand to get more attention in this overcrowded, highly competitive marketplace is to simplify brand messaging while engaging with the theme of the brand’s narrative in two-way conversations on the social media networks. This means that everyone within the company must be able to elegantly weave the brand narrative along every single customer touchpoint to mirror consistency of brand messaging. 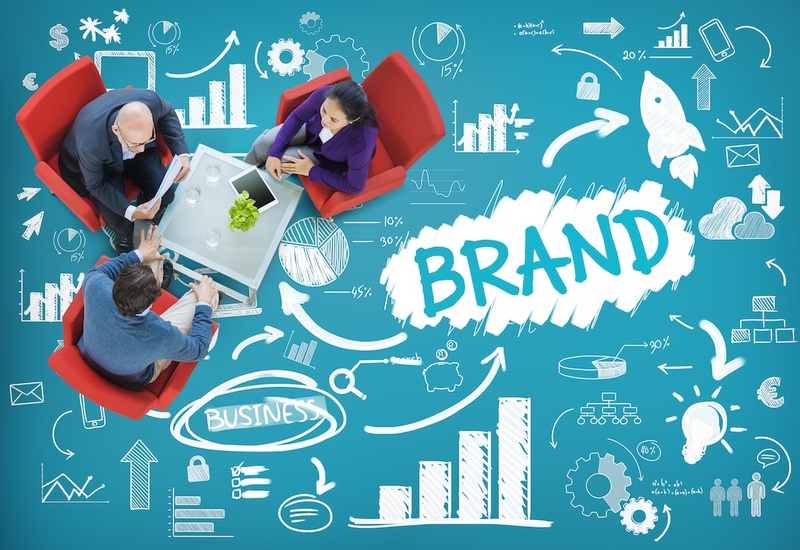 Engaging through the power of a potent and powerfully connected brand message is irresistibly attractive and showcases a consistency that is rare with many companies today who are juggling multiple channels and delivering inconsistent messages. Consistency builds trust. To truly standout in today’s socially connected marketplace, a brand must differentiate itself through its level of engagement with customers. One of the biggest mistakes I see brands making is that they are still stuck using outmoded, linear marketing models that broadcast messages across the social networks rather than blending genuine two-way communication with their audience, highlighting not only their brand messaging, but offering authentic conversations. Whether it’s B2B marketing or B2C marketing, or whether the brand is a start-up technology company, or a global fashion retailer, it matters not. What today’s savvy enterprises and consumers want is to be engaged with brands that are showing up on-scene as authentic, innovative, cutting edge, disruptive, and extraordinarily passionate about what they do. You can read the rest of the article on LinkedIn Pulse here. 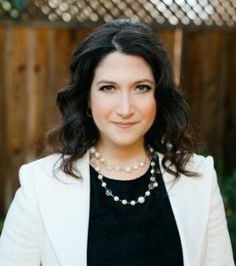 Randi Zuckerberg believes in being a three-dimensional woman of many titles. She is the Founder & CEO of Zuckerberg Media, a boutique marketing firm and production company. Prior to founding her own company, Randi worked at a tiny internet company you may have heard of, called Facebook, where she created and ran the social media pioneer’s marketing programs from 2005-2011. Tamara’s most recent article, Brand storytelling and heeding the wisdom of the seanchaí, was published at SiliconRepublic.com, Ireland’s leading technology and business news site. Inspirefest speaker, social media influencer and expert in conscious business and relationships, Tamara McCleary, discusses what brands can learn from the Irish tradition of storytelling. As human beings, the desire to share and consume stories is encoded into our DNA. We seek to be a part of something greater, something more meaningful. In researching my Irish ancestry and seeking to better understand the rich texture of Ireland’s history before my trip to Dublin for Inspirefest, I dove headlong into a study of the ancient storytellers of Ireland: the seanchaí, custodians of folklore and Ireland’s lush, yet withering, oral tradition. For centuries, the seanchaí often travelled the countryside, (or remained in town at a favourite pub), regaling individuals and communities with yarns spun from an amalgamation of myth and history. To read the rest of the article, you can find it here at Silicon Republic. One of the biggest catchwords in business and technology over the past year is Big Data. The exponential growth of the use of data and omni-channel marketing practices is increasing at a phenomenal rate across virtually all industries. 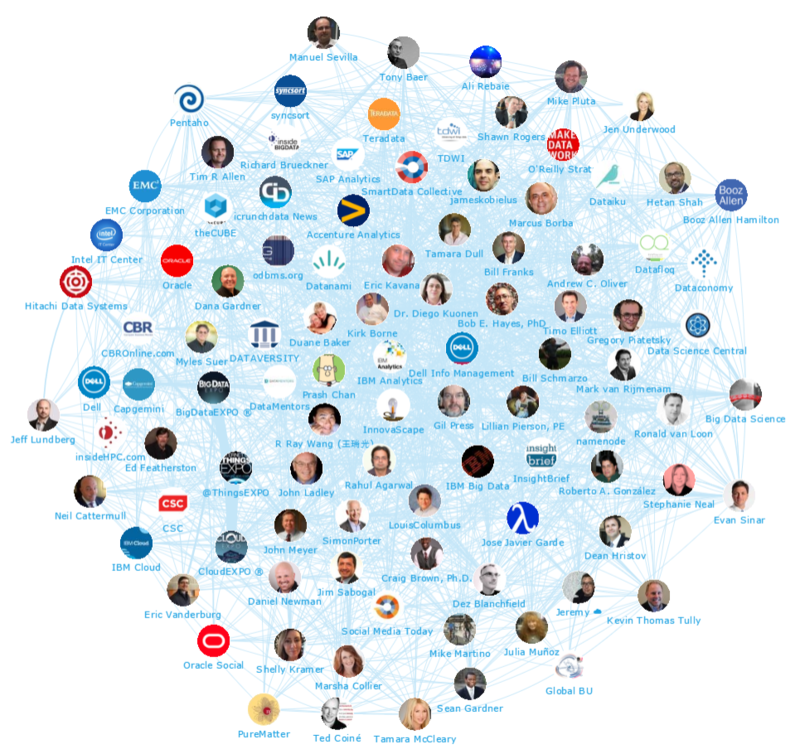 In a new report from Onalytica, Tamara McCleary was ranked as one of the Top 50 Global Big Data influencers and only one of five women to make the list. You can read the summary and receive the report by Onalytica here. Tamara shares how it is critical that marketing, sales and technology go beyond big data, user experience, (UX), and connecting with clients via mobile. Real, human to human interactions are critical for building relationships with customers now and in the future. The 20 minute keynote was recorded at Appboy LTR, held November 5th, 2015 in New York City. 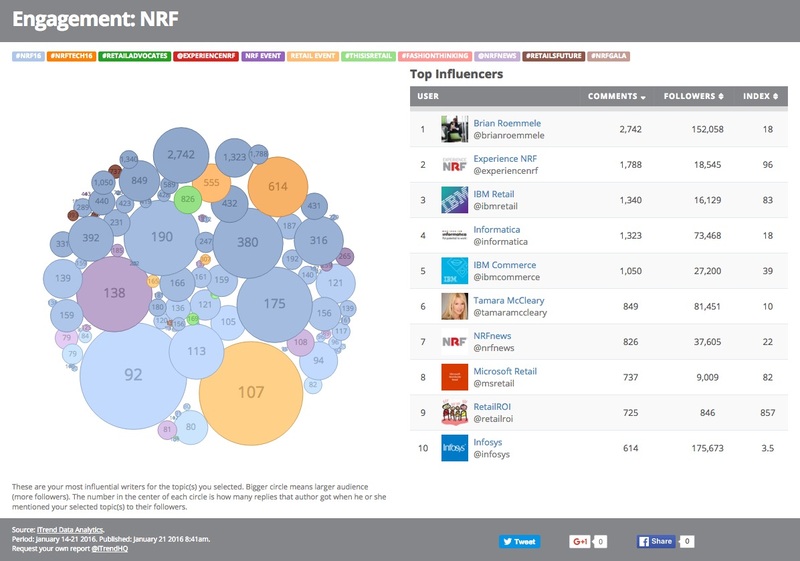 Analytics produced by iTrend Data Analytics revealed Tamara McCleary was among the Top 10 Social Influencers at the National Retail Federation (NRF) Big Show held January 17th to the 21st, 2016 in New York City. 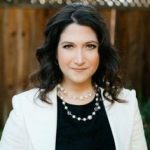 With over 30,000 people attending the show, Tamara was only one of two individuals to share the Top 10 with such brands as IBM, Microsoft, InfoSys, Informatica and the NRF itself. In fact, Tamara outperformed major brands such as Dell, Cisco, SalesForce and more in Social Influence. Would you like to transform your Social Influence and Social Media Marketing in 2016? Contact Tamara for a consultation today!